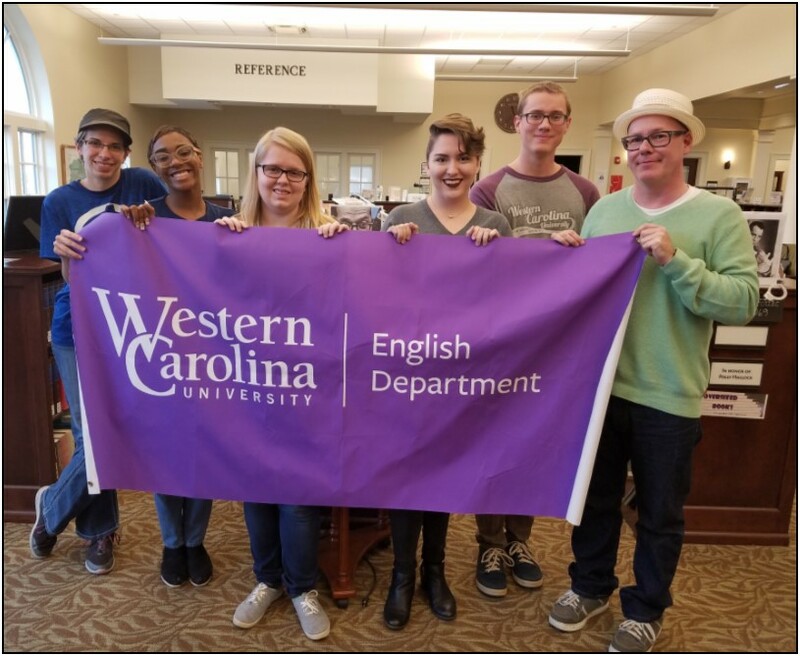 Western Carolina University students from Dr. Paul Worley’s Beats, Radicals, and the Avant-Garde literature class created a display for Jackson County Public Library. Using pictures, props, bibliographical, and biographical information the group tells the story of the Beat Generation. Students also used QR codes so patrons viewing the display can use their smartphones or tablets to listen to samplings of the highlighted work. Authors represented include Jack Kerouac, Allen Ginsberg, and William Burroughs. A section highlighting women of the beat generation includes authors Diane di Prima, Carolyn Cassady, and Joyce Johnson. 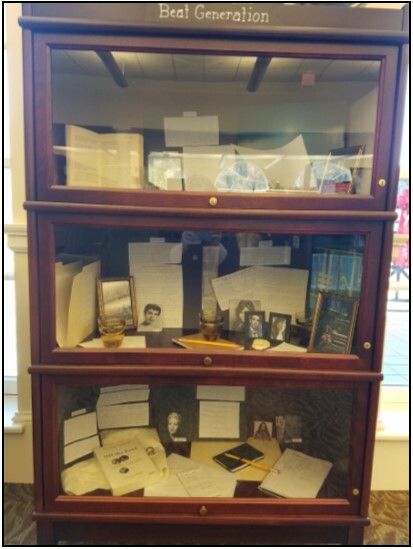 The display will be available for viewing until December 16th. Pictured in the photo from left to right: Kellie Wilcox, India Edgerton, Kelsey Woodburn, Madison Wall, Cole Sutton, and Michael Redman. A web version of the current Fontana Flyer Newsletter (pdf) is available for download.